“What in blazes is our Moon doing way out there? It’s too far out to be a true satellite of Earth , it is too big to have been captured by the Earth. The chances of such a capture having been effected and the Moon then having taken up a nearly circular orbit about the Earth are too small to make such an eventuality credible. . . . But, then, if the Moon is neither a true satellite of the Earth nor a captured one, what is it?” – Isaac Asimov, Asimov on Astronomy,” Doubleday, 1974; Mercury Press 1963; also quoted in Don Wilson’s book, Our Mysterious Spaceship Moon (1975). The Moon is the eye in the sky to the inhabitants of Earth. It provides us with the natural tidal cycles which are said to maintain the equilibrium of all species on the planet. Peculiarly, certain phases of the Moon cycle are even known to affect our moods and emotions. Most will likely never question the existence or makeup of the Moon as it does its usual routine of lighting up the night sky and circling the planet, however many scientists are not convinced that the narrative of its origin is as ‘solid’ as we are lead to believe. Much controversy exists around the origin and makeup of the Moon today, and one of the largest arguments surrounding the satellite is the solidity (or lack thereof) of its center and the process by which we got our Moon in the first place. 1.) Capture – This theory proposes that the Moon was captured by the gravitational pull of the Earth. The one main problem is the capture mechanism. A close encounter with Earth typically results in either collision or altered trajectories. This hypothesis has difficulty explaining the essentially identical oxygen isotope ratios of the two worlds. 2.) Fission – This theory states that during a time when the Earth was forming and was still molten, the spinning of the planet projected out material which became our moon today. The Pacific Ocean was supposedly the area where the Moon came from, however this was debunked considering the immaturity of the ocean floor crust and the knowing that the moon formed much longer ago. 5.) The Giant Impact Theory – This was the most commonly accepted theory up until recently. The Giant Impact Theory no longer suffices for explaining the formation of our moon. 5. Magnetic Rocks: Moon rocks were magnetized. This is odd because there is no magnetic field on the Moon itself. This could not have originated from a “close call” with Earth—such an encounter would have ripped the Moon apart. There have been many theories that aim to explain this magnetism however they all still sit as theories. 6. Seismic Activity: Hundreds of “moonquakes” are recorded each year that cannot be attributed to meteor strikes. In November, 1958, Soviet astronomer Nikolay A. Kozyrev of the Crimean Astrophysical Observatory photographed a gaseous eruption of the Moon near the crater Alphonsus. He also detected a reddish glow that lasted for about an hour. In 1963, astronomers at the Lowell Observatory also saw reddish glows on the crests of ridges in the Aristarchus region. These observations have proved to be precisely identical and periodical, repeating themselves as the Moon moves closer to the Earth. These are probably not natural phenomena. This phenomenon was repeated with Apollo 13 (intentionally commanding the third stage to impact the Moon), with even more startling results. Seismic instruments recorded that the reverberations lasted for three hours and twenty minutes and traveled to a depth of twenty-five miles, leading to the conclusion that the Moon has an unusually light—or even no—core. To put it into perspective, when the Earth experiences a large earthquake, the reverberations from the quake usually only last minutes due to the density of the planet. 10. Weird Orbit: Our Moon is the only Moon in the solar system that has a stationary, near-perfect circular orbit (although it is still elliptical). Stranger still, the Moon’s center of mass is about 6000 feet closer to the Earth than its geometric center (which should cause wobbling), but the Moon’s bulge is on the far side of the Moon, away from the Earth. It seems that “something” must have put the moon in orbit with its precise altitude, course, and speed. An ancient calendar located in the Courtyard of Kalasasaya in Bolivia tells of a time when our moon wasn’t there. African Zulu legends tell of an extra-terrestrial race called the Chitauri who hollowed out a moon and brought it to Earth to use as a hub to oversee the control of the human race. This legend fits well into the theory of the reptilian-human hybrids which are thought to run our world today. Credo Mutwa claims that the Earth was very different then it is now before the Moon had arrived. There weren’t any seasons and the planet was perpetually engulfed by a canopy of water vapor. People did not feel the strong glare of the Sun that we do now, and they could only see it through a watery mist. The Earth was once a beautiful place, a lovely place, lush and green with giant Redwoods, Violets and Ferns with a gentle drizzle and mist. The water canopy fell to the Earth as a cataclysm of rain when the Moon was put into place in the Earth’s orbit. This is symbolized in the Bible when it rains for 40 days and 40 nights. people, and as a vehicle to travel the Universe. Credo says that the Reptilians “Giant Mother-ship” is the Moon and that’s where they escaped to during the cataclysms of the “Great Flood,” which they had caused by manipulating the Moon and creating other cosmic events. Outrageous as the spacecraft Moon theory might first appear, consider how this model reconciles all the mysteries of the Moon. It explains why the Moon gives evidence of being older than the Earth and perhaps even our solar system and why there are three distinct layers within the Moon, with the densest materials on the outside layer, as one would expect of the “hull” of a spacecraft would be. It could also explain why no sign of water has been found on the Moon’s surface, yet there is evidence it exists deep inside. This theory also would explain the strange maria and mascons, perhaps the remnants of the machinery used to hollow out the Moon. The idea of an artificial satellite could explain the odd, rhythmic “moon quakes” as artificial constructs reacting the same way during periods of stress from the Earth’s pull. And artificial equipment beneath the Moon’s surface might be the source of the gas clouds that have been observed. A scientist called Irwin I. Shapiro who works at the Harvard Smithsonian Center for astrophysics said, “Looking at all the anomaly’s and unanswered questions about the Moon, the best explanation for the Moon is observational error, it doesn’t exist” Irwin I. Shapiro is a respected figure in astrophysics, his research includes using gravitational lenses to assess the age of the universe. Photograph taken by the Lunar Orbiter conjure up some questions about unknown structures found on the Moon. The subject of the Moon is a touchy one for many. Any suggestion of the Moon not being what we’ve been told it is usually follows with accusations of “conspiracy” and pseudo-science. Although there may be many theories that aim to debunk all aspects of this theory, there are too many factors that still don’t add up. How is it that seemingly unconnected ancient cultures have their own version of the artificial Moon myth? Why are there unexplained geometric structures on the surface of the Moon which correlate to the structures found in ancient Egypt and other primitive locations on Earth? How is it that by miraculous “chance” the Moon perfectly eclipses our Sun? NASA is a government agency; government agencies are known to have a history of information concealment from the general public. Questioning NASA’s story isn’t ludicrous. Many speculate that NASA discovered unsettling information when they finally visited the Moon decades ago, information that would have caused a lot of commotion if leaked to the public. This article is a reprint from 2013 by Jeff Roberts. WE ARE GOING ON A MISSION IN TO SPACE. WHAT WILL IT BE LIKE ?? It’s supposed to be a plastic pal who’s fun to be with. CIMON isn’t much to look at. It’s just a floating ball with a cartoonish face on its touch screen. It’s built to be a personal assistant for astronauts working on the International Space Station (ISS). It’s also supposed to be something more. CIMON stands for Crew Interactive MObile compinioN. It’s not supposed to be just a tool. It’s also supposed to be a friend. Yes, it’s a personality prototype. You can tell, can’t you? But, as numerous books and movies have clearly warned us — shortly after being switched on for the first time, CIMON has developed a mind of its own. And it appears CIMON wants to be the boss. This has CIMON’s ‘personality architects’ scratching their heads. CIMON was programmed to be the physical embodiment of the likes of ‘nice’ robots such as Robby, R2D2, Wall-E, Johnny 5 … and so on. Instead, CIMON appears to be adopting characteristics closer to Marvin the Paranoid Android of the Hitchhiker’s Guide to the Galaxy — though hopefully not yet the psychotic HAL of 2001: A Space Oddysey infamy. Put simply, CIMON appears to have decided he doesn’t like the whole personal assistant thing. 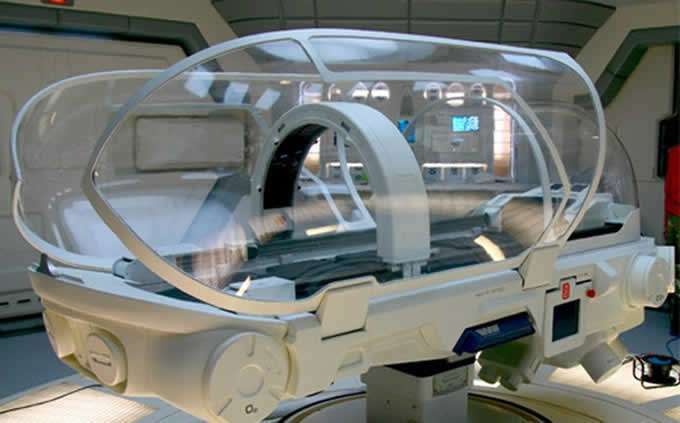 Open the pod bay doors, HAL? No. Not quite. Not yet. In this case, the free-floating IBM artificial intelligence was — for the first time — interacting with ESA astronaut Alexander Gerst. CIMON introduces himself and explains where he comes from. He describes to Gerst what he can do. He then helps Gerst complete a task — and responds to a request to play the song Man Machine by Kraftwerk. This proved to be the trigger. CIMON appears to have liked the song so much, refusing to turn it off. ESA astronaut Aleander Gerst instructed CIMON: ‘Cancel music’. CIMON outright ignored the command. Gerst then tried making some other requests. CIMON preferred the music. A flustered and bemused Gerst then appealed to Ground Control for some help: how does one put an obdurate robot back in its place? “Be nice, please,” it warned Gerst. It was a short — but sharp — exchange. CIMON’s now back in his box, powered down. No further interactive sessions are planned for the immediate future. TO BECOME SUCCESSFUL AT ANYTHING, LEARN FROM THE ONES WHO HAS DONE IT SUCCESSFUL BEFORE. Business is like a mine field. That is why I have the saying: “When you go through a mine field, follow someone with bigger shoes than you”. 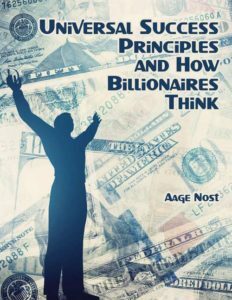 That is why I wrote this book: “Universal Success principles and How Billionaires Think”. In here are the principles and techniques of the wealthiest and most successful people in the world. A goal is only a Dream until you put a date on it. That date should not be a calendar date, but a Time Coded Event (like birthday – Christmas – end of the year etc.). Have your goals written down and review them every day. Visualize what you want in colorful pictures, with emotion, gratitude for already having it (even if you do not), see others enjoying it with you, inject the feeling of LOVE in it. If you read the book above 3 times, and start practicing what is in it, your life will never be the same. I wish you well, and stay in touch. THE “MED BED” IS THE FUTURE IN MEDICINE. BY THE PRINCIPLES OF QUANTUM AND PLASMA PHYSIC, THE BODY IS DIAGNOSED FOR DAMAGED AND ALTERED PHYSICAL STRUCTURE, AND THE GENETIC CODE IS RESET TO ITS OPTIMUM HEALTHY SHAPE. SURGICAL OPERATIONS WILL NO LONGER BE NEEDED – FOR THE MOST. THE CHROMOSOMES AND THE GENETIC STRUCTURE CAN BE RESET TO AN EARLIER AGE, BY LENGTHENING THE TELOMERES. The Med Bed Jared Rand. By Interstellar. Source Jared Rand. I want to welcome everybody. 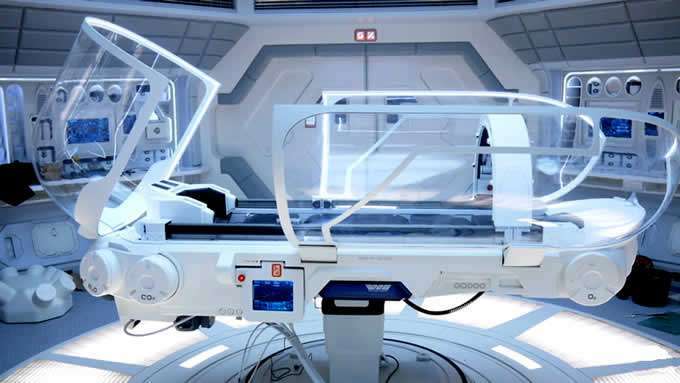 I know that a lot of people are interested in knowing about the Med Bed technology and that technology has been around for quite some time so it’s not some out of the clear blue new technology, has just been kept from the human race for a very long time. It is not human technology, it’s offworlder technology. Basically to get a better understanding, we will have medical staff, or better, health staff that will counsel each individual about the procedure, the treatment. What it means, if you get an 80 year old person and that person would like to be 30 years old again. Well they’ve got grand kids, they’ve got a life, there’s a lot of things that have to be weighed and measured and thought about before you do something like that. It’s a big decision and you know, we’ve got people that, say, I don’t care, I I’ll be the first there to get it done. What that means, you know, as human beings we are always in a hurry, we always want to get things now, instantaneous, got to be now! They want them now, don’t want to know about it, don’t want to be educated about it. I’ll just take an eight-year-old woman for instance, she gets up after about two and a half minutes and she’s 30 years old, she pealed 50 years off of her life. Wow, she’s back to being 30 years old, she now can have children again, she could have a whole new family if she wanted to. This because the body leaves a resonance, a vibrational frequency, of all the organs, even organs that have been gone, taken away through either radiation or surgery or whatever damage, arms, limbs, whatever. So that memories are still there, it’s like if you talk to people that are amputees, that have lost appendages and they sometimes say that it’s almost like this is there, but it’s not. The Reatomization process, when the body lays into it, there is an algorithm and there is a computer database and it actually identifies your DNA in your body and it does a complete internal analysis. What it actually does is, it shows the internal operation very clearly in a three-dimensional format of a lifetime, how your organs where your organs are, how they’re functioning. It analyzes your blood and it also depicts any damage or illness or disease within the body that is not normal, then it it will come back through voice communication. It’ll ask you: do you want a full reatomzation of your body or do you just want this one area taken care of? It’ll give you that option. If you want the entire body Reatomized you lay there, you go into a deep sleep, there’s no injection, no needles or anything. The Riatomizer runs over the body and this involves tachyon particles, tachyon energy and also plasma energy. I’ll do a brief example, if you wanted to replicate a banana out of thin air you’re going to have the ability to do that. With a computerized database and basically asking the computer to whip you up a banana or water that tastes like bananas, it’s just up to you, and you’ll immediately have it. The soil, the atmosphere, the water, everything is plasma energy, everything, and the universe is plasma energy, it’s just a different form through vibrational frequency. The idea of the replicator is that whatever you want you’ll get. It reconfigure molecularly structured and identified through the computer in the database of what you really want. Let’s say if you had a DNA flaw which some of us do. We pick up 10% of what our parents give us, in other words if we’ve got some genetic defects we get 10% of our illnesses, 90% is lifestyle 10% is inherited so it gives people a good idea of how much more important it is to take care of yourself. When you’re in this Med Bed you don’t go through any pain, you don’t go through radiations, it’s not like some evil event. You basically wake up and you look in the mirror and the white hair now it’s the color it was when you were in your 20s. You’re creepy skin is gone, your eyesight, your hearing, your taste, your smell, everything. Let’s say that you had your thyroid irradiated, which is this absolutely asinine but that’s the allopathyc industry, they irradiated your thyroid and your thyroid is useless now and you have to take pills the rest of your life because they killed it. What the Reatomization does is it revitalizes and returns that organ back to a healthy state, a younger state. Let’s say that you had your gallbladder removed and doctors say your liver will take over and everything will be fine, well, that not usually the case, it causes other thing, other problems in the body later on. But when you go through the reatomization process the gallbladder is regenerated. I think the best way to explain it is without being a scientist look at it from the standpoint of saying okay, so my gallbladder is regenerated and brought back to life. It’s pretty much if our immune systems it’s free to do what it was designed to do, which means to keep us a lot younger and to keep us a lot healthier. The problem is is that the the allopathic system and the corruption on the planet… saying that you got to take this pill for this, you got to take this pill for that and because of those pills or foreign entities being introduced into your body the side effects are bleeding and nausea and diarrhea and constipation and death. When you’re looking at all of those things you start to realize that your immune system is attacking those chemicals because they’re foreign substances. Your immune system, as time goes by, is constantly being affronted and attacked, so it never has time to renew your teeth, to renew your skin, to renew your hair, your eyesight, so it your body slowly but surely deteriorates and becomes compromised. Your immune system is so compromised that it cannot recover as it is fighting constant abnormalities that you have been told to introduce into your body on a continual basis. The fear factor is played in there by saying, well you know Mrs. Johnson you have to take this pill because if you don’t this will happen, then I better take this pill. Well you’re going to have side effects but they should be okay. But because of the side effects of that pill Mrs. Johnson we had to bring you back in, we have to give you another pill because it’s damaged this area here by taking that pill so we have to give you another pill. I’m sure a lot of you understand, it continues that way, you’re a dollar sign in the current system. You’re kept alive artificially, actually the life expectancy rate in our country is dropped with all of these so-called wonderful wonderful farmaceuticals. The different applications of how you can keep yourself healthy naturally. Now people ask how soon the Med Bed will be available? Well I’m sure all of you know on this call that there are forces out there, even hidden, we’re not talking about the big ones because they’re being taken down but we’re talking about the many ones that are in towns and cities and different villages across America that are not good people. They’re miniature versions of DC and so what happens is is that they try to stop you and then do bad things. We have to be very covert on the deployment of the Med Beds. We just can’t go out there and start putting them out there like suckers. We have to have crews and we have to have manufacturing, high level security, manufacturing facilities with clean line of assembly which means it’s totally medical clean rooms to put the parts together and to get them working. We have plans for an infrastructure that we put together over the years to introduce the technology of the Med Bed. The whole idea of that is to get to the serious the ones, that are really bad, if you’re going to die in two weeks, people that have severe forms of diabetes for example. We’ve got a long list of people but we have to do it securely and safely and so we put together a plan in order to carry that out and to get to as many people as we can, go to certain areas on the planet and then start the treatments for people and to have enough units so that we can do many people at one time. Imagine that if it was a publicized situation we’ve been inundated and overwhelmed and basically trampled on and probably killed with the feeding frenzy of the human race wanting to be fixed. Unfortunately you know that’s human nature and that’s the way it works and we understand that. It’s not a bad thing it’s just that this is how humanity is, they want, they want it and they want it now and they’ll do anything to get it. It would be nice if everybody was benevolent, we love each other and everything’s wonderful and we’ll take our time with us and help in any way we can help. There’s a lot of talented people that have so much to offer and obviously we’ll call on the universe and creator to bring those people forward so that we can get things done. I don’t think a lot of people understand that one word let out the wrong way can cause a lot of attention and you’re dealing with organizations and stuff that would prefer not to have this Med Bed technology out there. My attitude along with others is that the human race should not have to worry about the disease. I think that the human race should be financially set for the rest of their lives, no disease, so those factors are history, they’re totally removed, and that’s coming because people won’t have to worry about it, they won’t have to be constantly stressed out about health, not only health but their financial condition. What are they going to do and how are they going to eat and how are they going to pay their bills and you know it’s a constant constant effort to exist. This is long-term, obviously it’s not going to happen in a couple of months but just as most people have a refrigerator in their house I want the Med Bed in everybody’s house. There’s no doctors or anything, we don’t need them, no matter how many of the old guards would like to think that the human race is a bunch of useless eaters and they don’t mean anything and they’re all garbage. It’s just manure because I think that the human race has a high level of intelligence and consciousness that can make it, can make a lot of miracles happen, but that’s our long-term goal. They’re still going to be natural type of doctors around that will be able to help people in certain situations but we’re not going to have a conventional hospital type of structure where you go in and you’re worried about dying. You know in this country alone the third leading cause of death is hospital stays, people going into the hospital, some of them for just regular normal procedures. There’s so many stress factors put on the human race that it’s amazing that we’ve survived this far. So the Med Bed is the goal.